Little Adventurers aged 2 to 5 years old are also referenced as toddlers or preschool-aged children. 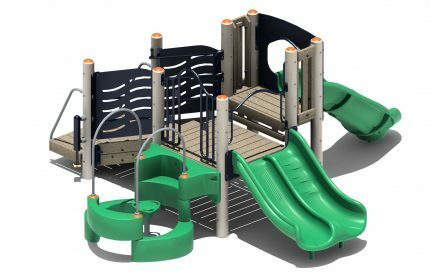 They are new to the playground and will require an area of their own that is physically challenging but sized just for them. 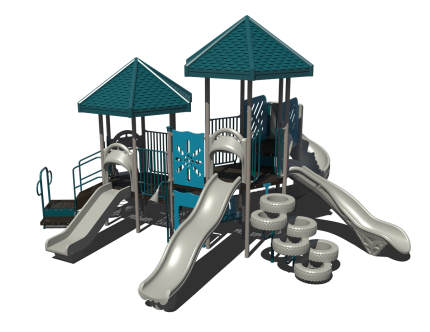 Play areas should offer challenges such as ramps, tunnels and slides but should not exceed a 60” height. Play activities that promote socialization and fine motor skills are a must for this age group. Consider including both themed and fine motor based activity panels to enhance those skills. Adult supervision is extremely important for safe play for toddlers. Play areas should have good line of sight from all angles. 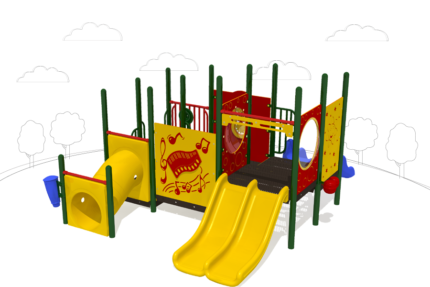 Our Commercial Playground Structures for children 2 to 5 years old are designed to encourage child development as well as promote best practices in outdoor play and learning. 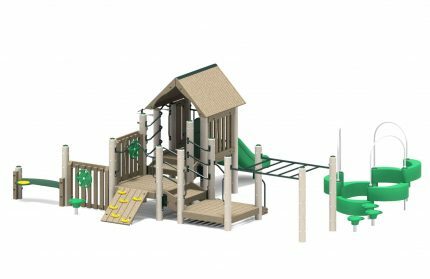 Adventure Playground Systems manufactures using the highest quality materials that provide maximum safety and durability for your little Adventurers. In addition, each system meets or exceeds all CPSC, ASTM and ADA guidelines. 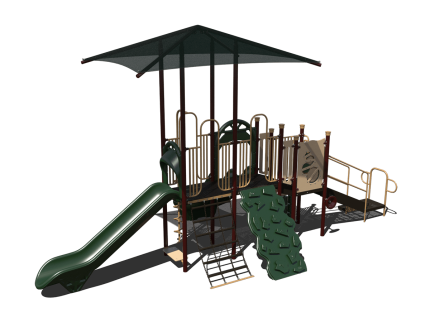 Our team of play experts is excited to create your dream playground so contact us with any questions you may have! Look for ladders that are single file with a 50 to 75 degree slope and a tread width of 12” to 21” and vertical rise of less than 9”. 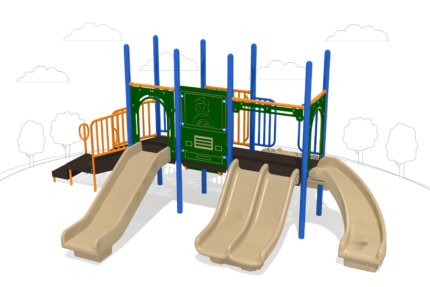 This provides more safety in the event of falls, in addition it will encourage children to hold on to a handrail if needed and take turns passing. 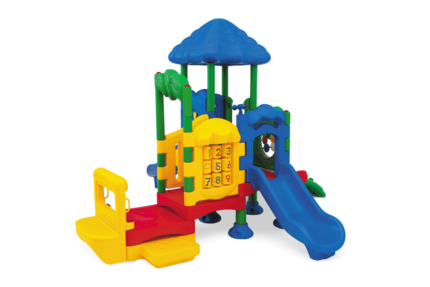 Slides help preschool-aged children learn balance and gross motor skills. However straight slides should not exceed 30 degrees. 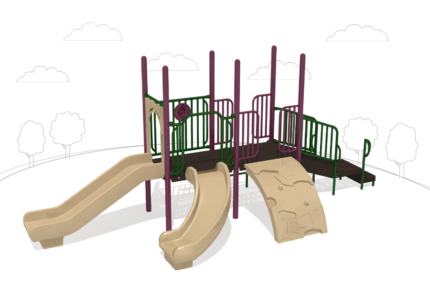 Little ones will learn how to traverse a spiral slide generally by 26 months but they should turn 360 degrees or less at a 30 Degree slope or less. Activity Panels come in a large variety of options. Look for those that promote fine motor skills and dramatic play to add the most play value to your site. Look for stairs less than a 35 degree slope and a vertical rise of less than 9”. This will encourage children to hold on to a handrail if needed, take turns, and provides more safety in the event of falls. Perfect for a 4 to 5 year old’s first foray into overhead climbing, horizontal ladders should be less than or equal to 60” high and adjacent rungs of overhead ladders should be greater than 9 inches. 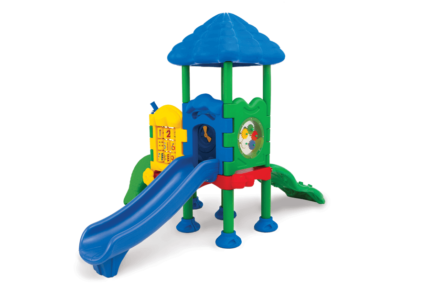 Perfect for children 4 to 5 years old, rung ladders should have 75-90 degree slope. 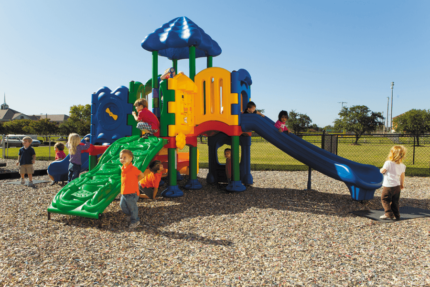 CPSI-certified Play Experts to ensure that each product will keep children across the country safe and active. 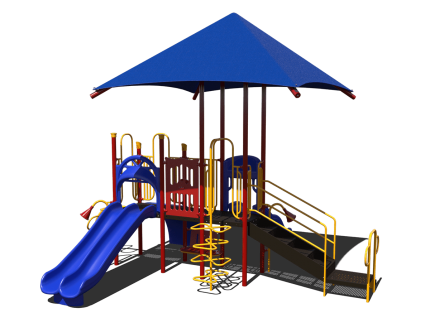 Choose from our array of preschool-aged commercial play equipment, or contact us today at 1.888.935.2112 to learn about our custom playground solutions. 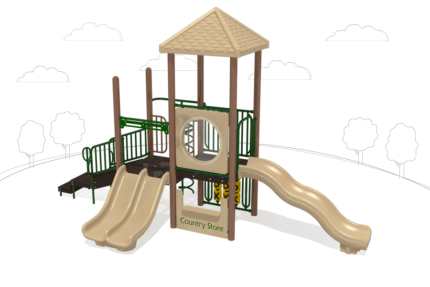 Our Adventure Play Experts will work with you to plan, design and install the playground your community’s children have been dreaming of.